I have been fairly deeply obsessed with almond ricotta over the last 6 months since I discovered it at whole foods. But here is the thing. I don’t always want to have to shuffle out the door in my sweat pants and top bun to go buy more almond ricotta. Especially when I could just make it at home. And it is definitely time to show you how I do it. There are two ways to make this: soft and firm. Of course those are relative terms since they are both soft, but one is like really wet traditional ricotta and the other is a more dry and crumbly version that you can press into almost sliceable cheese. I say that you experiment with both. 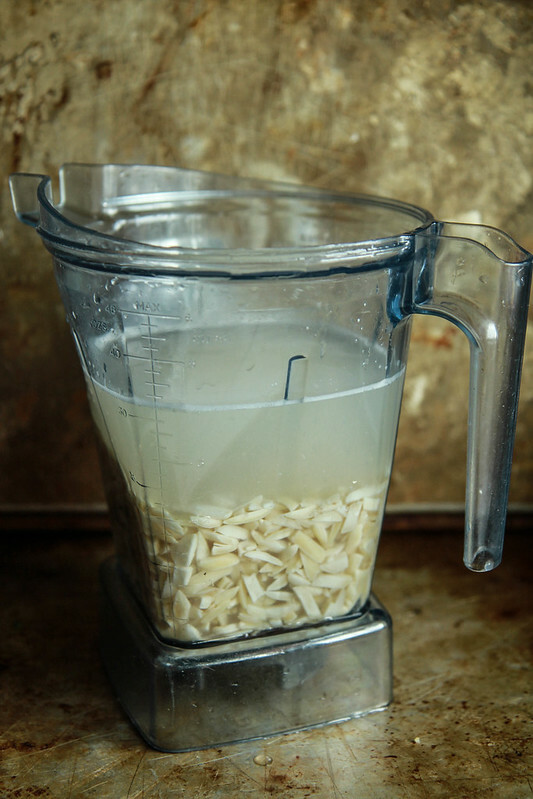 Soak the almonds in hot water for at least an hour and then add the almonds and about ¼ cup of the almond soaking water to the bowl of a food processor. Puree until soft and spreadable. If you want to add more water for a looser texture- go ahead. Season generously to taste with kosher salt. I will sometimes add 1 clove of garlic or at the end you could mix in fresh herbs. Refrigerate and serve in a bowl. Line a fine strainer with a few layers of cheese cloth and position the strainer over a large bowl. 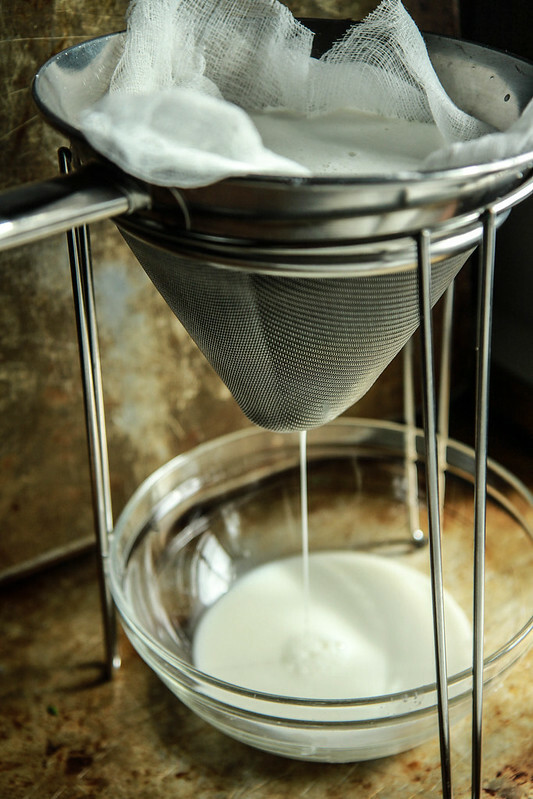 Strain the almond milk into the cheese cloth and let drip for about 30 minutes. Collect all of the almond milk and yum!!! You have a smoothie or two just from the extra! (as long as you didn’t add garlic of course!) now wrap the almond solids up tightly in the cheesecloth, forming it into a ball. Place it in a clean bowl in the refrigerator and let firm up for at least a few hours before you unwrap the ball. Serve with a drizzle of olive oil and a sprinkle of red pepper flakes or fresh herbs or black pepper if desired. Thank you for posting this! I love the Kite Hill version. 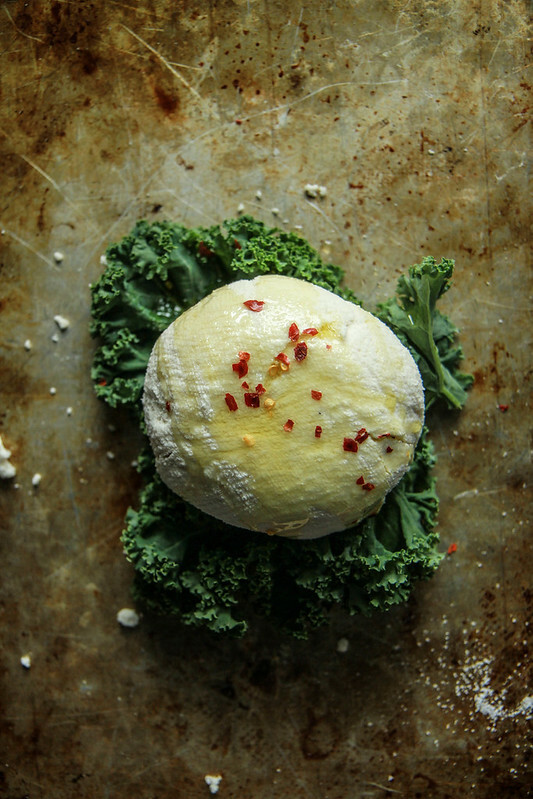 It is one of the only dairy-free cheeses I like, but it is expensive for how much you get. I can’t wait to try this! Me too Laura! hope you like it! Thank you for this recipe. I knew there had to be a dairy free ricotta out there. I am excited to give it a whirl. I always look forward to your posts as you have the most delicious recipes. thank you Terri!!! I hope you enjoy it!! You are basically a goddess with all these alternative recipes! I’m always amazed by these kinds of recipes. How much kosher salt do you add when soaking the almonds? Hi Elaine! I only add it to taste when you are pureeing. If I read correctly, the HARDER version is 2 cups slivered almonds soaked PLUS 2 cups whole almonds soaked, then pureed. However, how much of the soaking water do I add to the HARDER version. The SOFT version reads 1/4 cup water. Is it also 1/4 cup water for the Harder version? Nechama- Thank you for pointing this out- I think I just made the directions more clear. You puree with the soaking liquid and then go through the straining process. If you still have questions after the updates- just let me know! Thank you for your time. Love your recipes. However, I’m still confused. Is that a total of 4 cups almonds for the harder version? First 2 cups slivered and fill to 4 cup marker with hot water. Here it does not say to soak. But instead it says add 2 more cups of raw [whole] almonds and fill AGAIN to 4 cup marker. Why 4 cup marker? It would seem to me that using 4 cups water would make the almonds paste thinner, unless there was 4 cups of almonds. And still it sounds thinner to me. If in the lighter version there is two cups slivered almonds soaked and then blended with 1/4 cup water it would be thicker? So sorry to be so dense here, but please indicate the difference. The change made above made a separate paragraph but contained the same instructions. If I don’t get it this time around, I’ll give up. Can you freeze this recipe? Also, how long does this last in the refrigerator? Hi Stephanie- I have never tried freezing this? But I bet that you could. I have kept the almond ricotta in the fridge for up to 5 days. Trying this recipe out and going for the “hard version.” I was using a nut bag to strain the almond mix, and when I squeeze to get the water out, the “cheese” actually squeezes through, and I barley had any liquid “drip” out on it’s own? Presently it is all tucked in the fridge and covered, till I have time to try and figure something out. Hi, this looks delicious! Can you tell me where you got your Chinois Strainer? Hi Jennifer! I have had mine for 15 years and can’t recall where I got it- but here is a close copy! Hey there, thank you for this recipe. I’m going to give it a whirl. 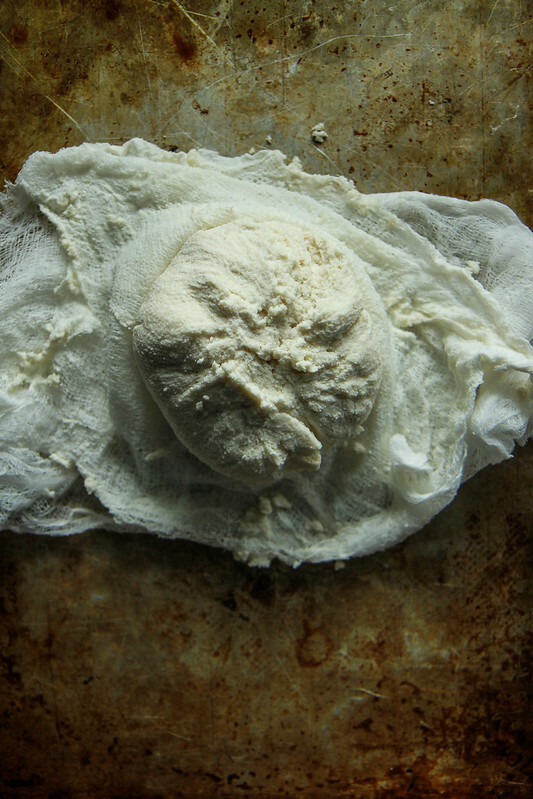 Does this make 1 pound almond ricotta? 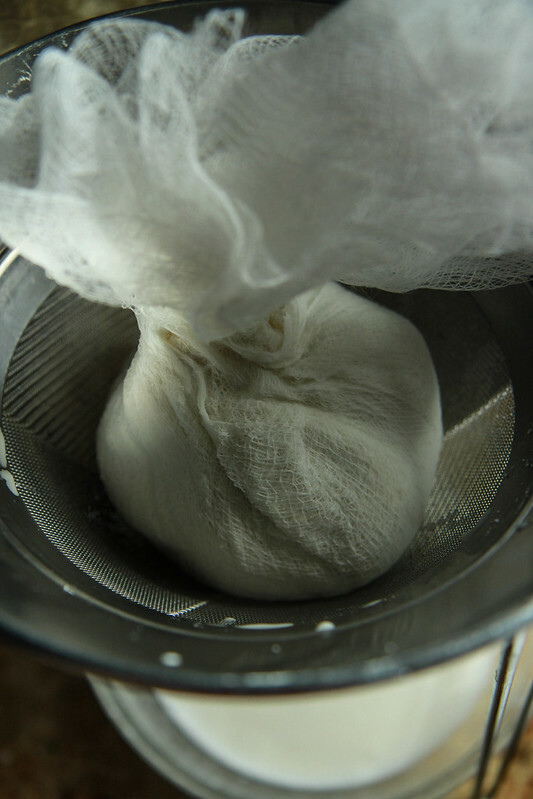 Can you use a nut bag instead of cheese cloth? Hi Allison- I feel silly, I have never even heard of a nut bag so I looked it up and of course- looks like a great alternative! could you just make a paste with almond meal /flour? I have not tried that but I don’t think it would be the same result as soaking the nuts? You go, girl! This looks FAB! 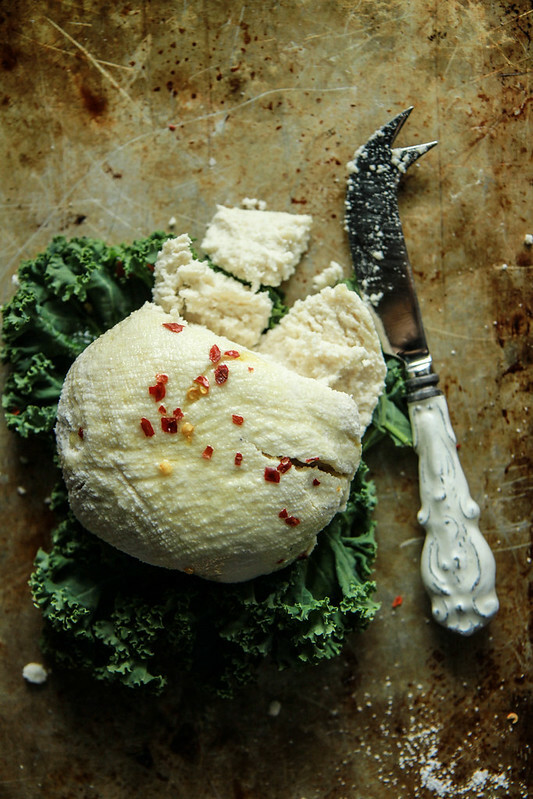 How long will the soft ricotta last in refrigerator? I keep it for about a week. You could freeze it too! Can this be made using store bought almond milk? Hi Elaine- I wish! That would be much easier, but the milk is what is left over after you take the nut meat, which is what makes the cheese. I made this today but I thought it still tasted, well, like almonds. I’ve made a similar type of “ri-notta” using pine nuts which I find to be more expensive than almonds. I made this with 3 cups slivered almonds, 1/2 t salt, 2 1/2 T nutritious yeast, and 1 T lemon juice. 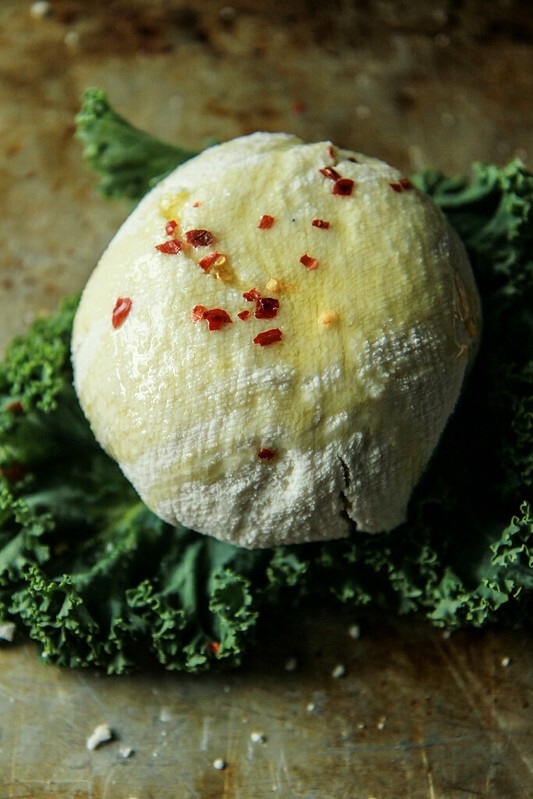 The nutritious yeast gives it a cheesy flavor and can be purchased from health food and some grocery stores.